Thanks to our new Sand finish, you’ll notice an infusion of light and bright tones. This new light finish inspiration is soothing shores and adds fresh, modern appeal to your home. To give you a better understanding of this new option, we chatted with Michael Brotman. Michael designs all of our storage and accent pieces and knows how to make the most of Sand. Hudson furniture set in Ash with sand stain. Don’t be afraid to mix Sand with what you already have. “We wanted to create a finish color that would effortlessly work with all the other materials in our assortment, from fabrics to woods to steel,” he said. 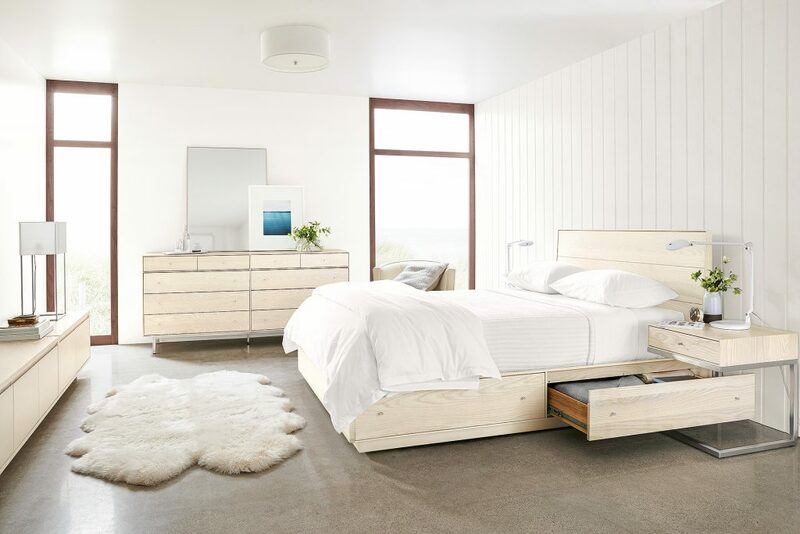 Because the Sand’s color inspiration is nature, it seamlessly complements furniture and accessories you already have in your home with its natural tones. Michael said when adding Sand, “We didn’t want to hide anything. We wanted to celebrate the grain patterns of the material underneath.” So we made our Sand finish translucent to highlight the domestically sourced ash it covers. Ash is a durable, timeless hardwood with sweeping and varied grain patterns that brings true character to a space. Keep it looking beautiful with one simple step. The Sand finish is hand done for a light and bright look, but it also serves as a protectant on the piece it covers. All you have to do to keep your Sand furniture looking fresh is wipe it clean with a damp cloth and then dry immediately. Done. 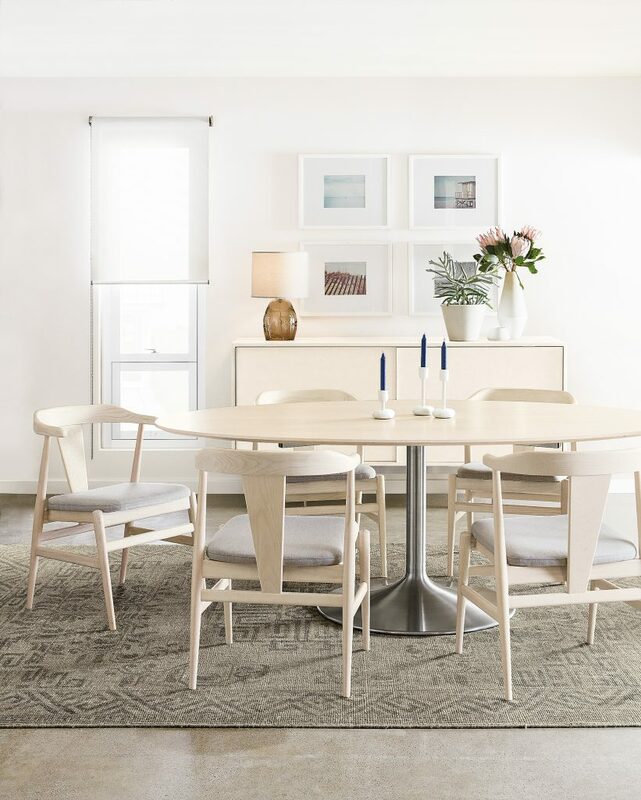 Our new Julian table, new Evan dining chairs and Smith cabinet showcasing our Sand finish. 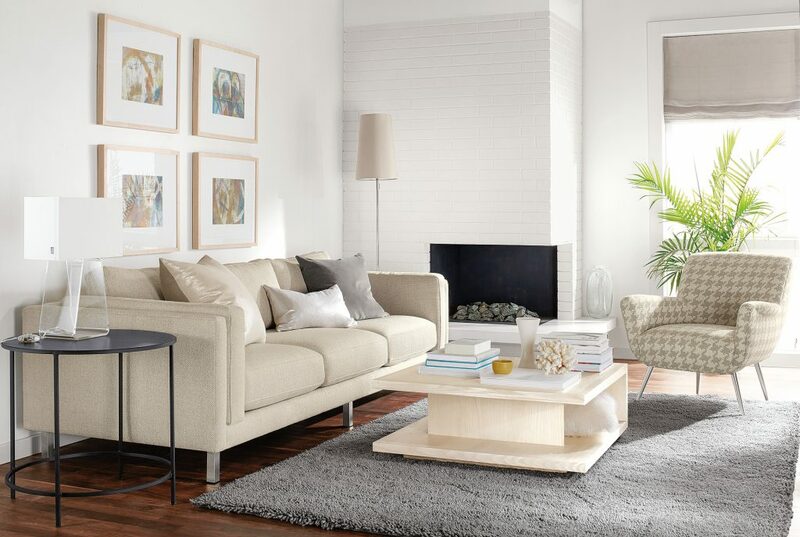 The light finish gives our Graham coffee table a refresh that’s perfect for this bright room. As functional as it is beautiful, our new Keaton bookcases are sleek and ultra-modern in the Sand finish. Looking for more photos? Get inspired and view the entire Light, Bright & Modern gallery on the Room & Board website.